I think this goes along somewhat with my last post, Love is Supernatural. Have you ever heard (or used) the phrase, "fake it till you make it," in regards to the living out of the Christian life? Although I've heard the actual phrase used only a handful of times, I've seen the Christian lifestyle that's represented by the phrase in action all throughout my Christian life. And it's sad, because it's nothing less than a fleshly attempt at living the Christian life. One of the times I heard the phrase used in a sermon, the pastor was talking about the various family qualities and values that we are to live out as Christians. Loving our spouses, loving our kids, "one anothering" each another, and so on. When we find ourselves falling short in our love relationships with each other, what should we do? According to this pastor, we just "fake it till we make it." :( I was very disheartened to hear that. If we're having a hard time loving and showing appreciation to our spouse, for example, we just fake it till we make it. We go through the motions until we find ourselves genuinely loving our spouse. I'm sorry, but this totally misses the point of Christianity! It sure may appear right to some, since it's an appeal to us to do good things. But all it really is is a fleshly attempt to do these things. The flesh, no matter how good and wonderful it appears, will never, ever, EVER produce what the Spirit can and does produce in us! Another time I heard the phrase was in a small group setting. We were talking about the gifts of the Spirit, and "how" to walk in them. (shudder) One man suggested the "fake it till you make it" method. ((double-shudder)) For example, if it's the gift of tongues that's in question, just start muttering some words and eventually it will come. Or whatever the gift, just go through the motions enough, and eventually it will become real. I'm all for "growing" in our gifts, and in the living out of the Christian life. But not through FAKING it! See, there is absolutely nothing fake about love. If we feel we have to fake love in order to grow in love, then we'll never come to a true living out of a love-life. I can see why the "fake it till you make it" mentality is so prevalent in the church today (even if the phrase itself isn't used a whole lot). The focus in the church today is behavior modification. Sermons, seminars, meetings, exhortations, articles, radio and TV programs, and so on and so on... all focus on getting us to change our behavior from one way ("bad") to another way ("good"). Do I want to stop doing bad and start doing good? Of course! But you can teach me all you want about what is bad behavior and what is good behavior (what I should stop doing and what I should start doing), and yet you will give me no power whatsoever to change my behavior! Christ in us - and His grace - is the power to live a godly life. There is nothing fake about Christ in us! But when the constant focus is behavior modification, people will take their eyes off of the One who IS the way, the truth and the life and will always be attempting to change themselves. This constant focus on behavior modification, leaves people with, well, a constant focus on behavior modification! They are deceived into thinking that by focusing on good behavior they're focusing on Christ. But since they're not really looking to Christ and His life that miraculously and abundantly indwells us, but rather are focusing on change, then all that's really left is a life of faking it till they make it. Growing in true love and true godly behavior doesn't come from attempting or faking love or godly behavior. True love and true godly behavior comes over a period of time as we look to Christ, who is in us, to live His life in us, and it comes as we grow in God's unconditional love. Really good words again, Joel. Not because they're just good words, but because they're truth. Interesting to note that the whole focus on behavior modification among christians, leaves one, once again, focused entirely on self, as you've basically said here. Boy, we like to be in control of our own destiny, don't we?? If I can attain that behavior modified, won't I have a huge horn to toot in front of everyone else? They can then ALL want to be like me. I could probably even write a book about what I did to achieve my behavioral success, and make a lot of money off it. Hmmm... maybe I should try that. Ahh, someone's probably already done it. Dang. Good stuff here. The idea of really looking to Christ is key isn't it? When I finally looked at Christ I was awakened to Father's unconditional, affectionate, and pure love for me. I discovered I had been believing in the mixture of 'another Jesus' (as Paul spoke of in 2nd Corinthians). Jesus always points to the Father. He has restored us to sonship if we only believe. The 'another Jesus' diverts our attention to our efforts to please God as if He wasn't already pleased with His own efforts to reach us through Christ. Christ restores us to THE Father. The 'father of lies' best hope? ... getting us to 'fake it' via another Jesus. Exactly! When the focus is behavior modification, the focus is on self - and on two different extremes, it either leads us to tooting our own horns or feeling very poorly about ourselves. But if the focus is on Christ - which really is what life in Him is all about - then our hope is in the One who not only 'changed' us, but exchanged our old dead life for a brand new abundant Life. There's just no faking abundant life! But true... the father of lies will most certainly replace the gospel with a false gospel of faking it. I think Steve's recent post on grace & identity addresses why we don't have to worry about behavior modification. Jesus didn't come to save us or make us better; He came because we had to die, which we did in Hin, and to give us NEW LIFE: His. Grace has become a buzz word to toss around but if we don't understand that God loved and graced us enough to not just die for us but as us and to then indwell us, we will stay focused on ourselves because we will have forgiveness without the ability to grow in the understanding of who we really are! Yes I really thought Steve's post today was spot on! Many people understand grace as forgiveness of sins and of God's love, etc, and that's all good, but taking it all the way - as far as what God has fully done - is seldom done. He didn't change us from bad to good. He didn't come to change our behavior or make us better people. He came to crucify us with Christ and raise us up together with Him! Being forgiven is great, but being forgiven gives us no power or life. It simply means we're forgiven! But God's life in us is what makes true Christianity something completely different than a behavior modification program. It's a life that's in union with God! Joel, your post is excellent (my friend Tracy sent me here!). It stirs two questions in me though! First, how do you feel about "choosing to behave in a loving manner when you do not have feelings of love?" I find myself able to make choices to intentionally bless a person with actions of love. But that's about all I am able to do right now. Is this just behavior modification and how do I move beyond that? Secondly, I have a ministry to compulsive overeaters. In my journey away from addiction to food, I was encouraged to put boundaries around my eating - since I was eating all the time for lots of inappropriate reasons. So I now teach overeaters to wait until they are hungry before eating and then listening to their bodies to know when to stop eating - all in an effort to return to "normal eating". I know this is just behavior modification in the beginning. But then I teach them to rely on the grace of God to be able to do this, as it is very hard for them. We talk about relying on His strength, turning to the throne of grace, etc. I also then go into inner transformation by the renewing of the mind, etc... We tackle lies they are believing that are holding them bound, etc... So here is my question, can you think of a way to transform their eating without behavior modification??!! Without setting boundaries around their eating? I've often wondered if there is a different approach but have never come up with anything! Thanks!! I especially liked your example of faking it with tongues... It's like saying that pig latin is an adequate substitute for Latin; or asking a newborn to to drive the family car; or that paint-by-numbers will be a big hit at the Louvre. Good insight. Maybe we also listen too much to the business culture in America (like network marketing) which tries to get the momentum going by teaching, "Fake it till you make it." Obviously, it shows we are listening to the culture instead of scripture. Hey all... just checking in... busy day today... I'll try to respond tomorrow! Welcome, and thanks for your comments here! You're asking some really great questions. I've realized that I can't possibly share all my thoughts here in one comment, and this will be incomplete but I'll try to boil it down. I think we choose to do things that we sometimes don't want to do, and it's not necessarily 'faking it.' For example, I've been going hard on the treadmill because I truly need to take off some pounds. In the same way, sometimes we do loving actions for others even if we don't 'feel' like it. But here's the big difference, at least for me, in all of this. Where is the action coming from? Is it coming from the thought that have to do this in order to maintain a right standing with God, or is it coming from the heart of love that God has given me. In other words, my feelings and "will" don't always line up with who I am in Christ, but yet from my new spirit flows the truth that this person in front of me needs to be loved, and so I make a choice to love that person in action. The 'problem' is that all of this could so very easily take the form of legalism. Like I said at first, if I'm simply trying to modify my behavior so as to try to become "a better person" or "a better Christian," then I'm missing the whole point of love and I'm going to end up faking it. To get to the root of it all... that's what I'm wanting to do. I see so many people focused on the fruit. That is, the results. Whether the results are eating right and exercising or if the results are loving actions towards others, the church today seems to have a heavy emphasis on the doing part. And so what I've seen is that the doing becomes very fleshly. It may have some great appearances, but it's all done out of the flesh... which is not legitimate fruit. The root, then, is the new heart, or new spirit, that God has given us. This is our true identity in Him. And the key... if I could ever get people grounded in anything it would be this one thing... the key is that learning to walk according to the new creations that we are takes time. I've written several posts in the past with such titles as "What's the rush?" and "Slow Growth," and they're all based upon the need for us to slow down and not try to rush the work God Himself is doing in our hearts. Again, since the focus in the church is on productivity and outward appearance, we have a church that is full of people who are trying so hard to produce love and produce other fruit - and it's not coming from the spirit but rather from the flesh. What we need to do, I believe, is to slow down and stop trying to produce fruit and begin resting in the Lord, trusting that He will produce the fruit Himself and He will bear it through us in the proper times and seasons. I do think boundaries in eating is a great thing! I've yet to find that place. :) I've tried various diets and methods and ways of trying to eat right, and in the end they've all become laws to me that are just too hard to follow! If something becomes a law to a person, what happens is talked about in Romans 7. Sin takes opportunity by the commandment and produces all kinds of evil desire, leading to death (vss. 8-11). Sinful passions are aroused by the law go to work in our members (our bodies) to bear fruit to death (vs. 5). And so the key is what you are talking about - renewing the mind, relying on His strength, etc. As far as eating goes, I'll admit that I'm still growing in the application of this. I do think that the boundaries become more natural as a result of growing in God's grace. Again, to me, in and of themselves they became laws which in the end caused me to be worse than when I started! The bottom line is that I think all of life must be about setting our minds on higher things, trusting God's work in us, and letting love, discipline and everything else flow from that. Galatians lists 9 "fruit of the Spirit." This is all stuff that the Spirit accomplishes in us, not things we are to strive for. The last one listed is "self control." That tells me that "self control" isn't "flesh control." Rather, it's the work of God in us, as we grow slowly in our identity in Him, and as He works in us to will and to do according to His good pleasure (Phil 2:13). Sorry this is so long. This is all up for discussion, so please feel free to comment. That's so true! There's just no substitute for the real thing. A bowl of fruit sitting on the table may look so very tasty, but then you bite into it and find that it's plastic! So very true as well! Paul addressed this whole "principles of the world" thing in Colossians 2. 20 Therefore, if you died with Christ from the basic principles of the world, why, as though living in the world, do you subject yourselves to regulations — 21 "Do not touch, do not taste, do not handle," 22 which all concern things which perish with the using — according to the commandments and doctrines of men? 23 These things indeed have an appearance of wisdom in self-imposed religion, false humility, and neglect of the body, but are of no value against the indulgence of the flesh. The ways of living in Christ are not the ways of living in the world! Wow, Joel, thanks for such a great and thorough response to my questions! I appreciate your insight! I know exactly what you mean about things becoming law to us and arousing evil desires within us... wow, I tried the dieting thing for about 24 years. Thank God there is a better and different way! phew phew phew is all I can say to that. I love your explanation about choosing to act in a way that is different from how we feel (and it isn't faking it). This is great: "Where is the action coming from? Is it coming from the thought that have to do this in order to maintain a right standing with God, or is it coming from the heart of love that God has given me." I really believe I am personally beyond the quest to find a right standing before God. My choices are not about that as far as I can tell. My choices to love sometimes are without feeling, but I am doing them anyway to bless the other person. "Trusting God's work in us..." that IS the key, I think! We were talking about submitting to His will in class last night and I asked them the loaded question, "What are you going to do if you honestly see that your will isn't lined up?" We had a great talk about Jesus processing through that in the Garden. I am now saying, "Just be honest with God about where you are at and ask Him to give you the desire since Phil 2:13 says He gives us both the desire and the power to do His will. And then trust Him to do it in you!" I used to say, "Just obey!" I will check out your other articles mentioned. Thanks! Joel, I just wanted to encourage you to take your answer here and turn it into a post of it's own--great stuff! Great words! Sorry to now make this response so short but I'm working on something else. I just wanted to provide a quick link to some of my 'slow growth' articles, in case you or anyone else is interested. This post in particular links to several of my past ones. Thanks! I just about did that! --- I realized it was getting long and I really thought about making it into a post. When I have time later, I think I'll edit it a little and do just that. When we fall in LOVE with Jesus, it all comes from the inside, outwards. Faking it just gets you tired and all screwed up. I tried it for 45 years.... it does not work. Lennart... Yes! We must have new life in order to express the love and life of a new person! And indeed, when we fall in love with Jesus - which I believe is only possible as we grow in His love for us - then what shows on the outside is never fake, it's the real thing that has come from the inside. I never could settle into that "fake it till you make" it saying either, It just didn't seem to fit right. Joel, isn't what you are describing "santification"? God is at work. He must be, or there's no hope for us. But we also must 'work out our salvation'. If there is a key, it is this: Work it out, struggle, fight-because God is at work. Justification is a matter of being declared righteous, as in the law of court. Sanctification is a matter of experiencing righteousness in one's character and conduct, of actually becoming righteous. Daily and progressively, we die to sin and become more righteous. Second, the process of sanctification may be characterized as "warfare". The Bible says we are to 'put on the full armor of God' and in the same passage refers to 'our struggle!' There's the despised word-'struggle'. It is expected that we have 'crucified the flesh with its passions and desires' (Gal. 5:24). This requires violent action on our part. Jesus taught that if our right eye offended, we were to pluck it out, and if our right hand offended, we were to cut it off (Matt, 5:29, 30). We are to 'consider the members of (our) earthly body as dead' to sin, and 'put them (our sins) all aside', and 'put on the new self' (Col. 3:5,8,10). Nor is this to be a one-time effort. It is continuous. 'If by the Spirit you are putting to death the deeds of the body, you will live' (Rom. 8:13). We are likened to soldiers, athletes, 'hard-working' farmers, workmen, bond servants (2 Tim. 2:1-24). "Not that I have already obtained it, or have already become perfect, but I press on in order that I may lay hold of that for which also I was laid hold of by Christ Jesus (Phil. 3:12). Sound grim? No, it's just realistic, 'I press on'. That is the key to sanctification. The goal is perfection. You'll never make it in this life. But with the help of the Holy Spirit. we press on toward the goal. We aim at the end-conformity to Christ. I guess what I'm talking about here is the difference between faking the sanctification process and truly growing in grace. I think that so many people focus on the "work out your salvation" part and make it out to be something that's so very, very hard and difficult --- while leaving out the rest of it ("for it is God who works in you to will and to do according to His good pleasure"). Jesus said the work of God is to believe in Him. He said, "take my yoke upon you, for my yoke is easy and my burden is light." Hebrews says, "strive (or 'labor') to enter His rest. Jesus said that as a branch abides in the vine, so we abide in Him and we will bear fruit. (By the way, HE produces it... WE simply bear it)! He said that even the work He did wasn't His own work, but it was the Father's words and it was the Father who was working the works in Him. I think we can take a tip from Him! Since we seem to focus on the "work" part and spend very little time understanding that the work flows from our rest, we have a church full of burned out servants, who are really only faking service, since they're not doing it from a state of abiding. They're not doing it from a state of rest. They're not doing it in the way that Jesus said ("This is the work of God - that you believe in Him who He sent"). Rather, they're working hard from the flesh to try to get things done. Jesus did indeed say that people must be perfect. "Be perfect, as your Father in heaven is perfect." (Actually, it means something closer to "complete" or "mature"). He also said, "if you want to enter into the kingdom of heaven, your righteousness must exceed that of the scribes and Pharisees." "If your right eye causes you to sin, pluck it out" was part of the same speech (or "sermon"). Who can obtain perfection by what they do? Who can enter the kingdom of heaven by any amount of their own righteousness, whether it exceeds that of the scribes and Pharisees or not? Will plucking our your eye or cutting off your hand really amount to anything!?? This whole sermon was, to me, the words of an Old Covenant teacher (Jesus), teaching "law" to those who were still under the Old Covenant. As Paul later said, whatever the law says, it says to those who are under the law, that every mouth may be stopped and everyone become guilty before God" (Rom 3:19). If this particular teaching of Jesus is a New Covenant teaching (that is, for Christians to follow), then there's going to have to be an awful lot of instant "perfection"... or there's gonna have to be an awful lot of faking it!!! No one can become perfect through what they do. No one can enter heaven by their own righteous deeds. No one can gain an inch by cutting off a hand or plucking out an eye! Even if Jesus was "just exaggerating to make a point" (which is what too many people think), it's still far-fetched to believe any of this can be done! And so my point... it all comes down to grace, grace and more grace. Our struggle is the struggle of getting rid of the fleshly notion that we can do any of this on our own. We "work it out" by resting in Him. We reckon (count it as fact) ourselves as dead to sin because He has taken our sin away and we are dead to sin through His gift! We live above sin, not through a struggle to overcome it, but through a vibrant faith that we are His workmanship and that He works in and through us! We take His easy yoke and His light burden upon ourselves and rest in Him. He Himself is our victory. I 'get' all the spiritual warfare stuff. In fact I've posted about it before. Taking away from the battle imagery for just a second, look at the substance of the things Paul mentions in Ephesians 6. Truth. Righteousness. The Gospel (good news) of Peace. Faith. Salvation. The Word of God (Jesus - not the Bible)... and last but not least, Prayer. What are all these things but GIFTS from God! Be strong in THE LORD and in the power of HIS might! It's HIS battle... not ours! As we rest in Him, these gifts are made manifest in and through us. Leave it to Him. You won't ever have to fake anything! WOW Joel, I think "we" basically said the same thing. When I was a little boy my father used to wake me up early in the morning to help him take care of his three million beagles. When it was snowing he would get the buckets of feed and water and I would follow him with my one bucket. He was a big man but I would try to put my boots in his footprints. I tried with all my might, but I couldn't quite stretch my little legs out as far as he did. I'd spill some of the bucket. I'd fall once in a while. Anyone who might be watching probably laughed at me BUT nobody doubted the fact that I wanted to be just like my father!!!!! I think we're still missing it if we're trying to imitate God or Do What Jesus Would Do. Imagine a hand and glove. The hand animates the glove. The glove has NO LIFE without the hand indwelling it. And all that the glove performs is because it is moved, filled, and directed by the hand. Together they labor. Imagine a married couple. Hopefully, they married to have relationship with each other. Sure, children are the result of intimacy but some Christians approach "fruit" like a woman who would leave her marriage bed to pee on a stick to see if she's expecting! The point of intimacy is union; the result is "fruit". The point of the cross is LIFE and fruit happens when a branch is part of a vine. No effort, no straining, no constant checking for signs of fertility! The world wants to see a well-loved Bride not a Stepford Bride. Anyway, your footprints thing reminded me of something else (different than what you were saying). The whole "Footprints in the Sand" thing has always bothered me. It wasn't just in the bad times that Jesus carried me. He "is" my life 100% of the time and like a hand in a glove, we walk in step with each other all the time! Yes, yes!!! (And BTW, any time you or anyone else wants to post your own thoughts or join in on a conversation, that's great!) The hand in a glove thing is wonderful. The glove has no life on its own, but together the glove and the hand work to... well, to do whatever it is that hands in gloves do!! And it's the Hand that provides the animation. I LOVE the pee on a stick thing. ;) It's so true. How would the husband feel if the woman kept on leaving him to check and see if she's with child. Sure, the 'fruit' would be wonderful and exciting, but the intimacy is what their life together is all about. And yes... the fruit is natural, never contrived, forced or faked! Thanks for the link. I checked out the blog, and I truly enjoyed that blog post! "He "is" my life 100% of the time and like a hand in a glove, we walk in step with each other all the time!" He is our life!...... but 100% of the time? When David slept with Bathsheba and had her husband killed....how was the hand in the glove working? I'm not trying to be hard for the sake of being hard, but "we" have to yield ourselves to the power of the Holy Spirit. "We" all struggle with the flesh. "RJW" and you make it sound like you become saved and go off to Disneyland. Also, you can not seperate Jesus from the Bible. He is the written Word. "We" try not to see our flesh as the issue. Life is. Instead of trying to make our flesh conform to what we think "a good Christian" should look or act like, we choose to yield our flesh to His Spirit and to keep our focus on Him, not us. The battle is "between our ears" in that we are constantly renewing our mind to who we REALLY are in Christ! We're walking by faith not sight. Just a thought: Do you think that our effforts can accomplish more than what Jesus did on the cross? We're righteous because of that work not our own. As for separating the Bible from Jesus... Jesus said, "You search the Scriptures, for in them you think you have eternal life; and these are they which testify of Me. But you are not willing to come to Me that you may have life" (John 5:39-40). People can read the "word of God" (Bible) all they want and still never come to Jesus (the Word of God) for Life. I just searched my PC Study Bible for the phrase word of God. It appears 48 times in the NKJV. In only a minuscule percentage of cases, it can perhaps be argued that it's referring to the scriptures. Most of the time it's talking either about Jesus Himself or about the general "word of God" that was being spoken, which may or may not have been the words of the Old Testament scriptures. As for the New Testament... If it's truly the Word of God that can't be separated from Jesus, how were so many people saved before Matthew, Mark, Luke, John, Paul, Ringo (just kidding), James, etc, wrote their epistles, never mind the fact that all of these writings have never been available to the masses throughout most of history? Don't get me wrong... I absolutely love that we have such easy access to the scriptures today! But the point is that Jesus is the Word of God, and "the Word was with God and the Word was God... all things were made through Him, and without Him nothing was made that was made... In Him was Life, and the life was the light of men... And the Word became flesh and dwelt among us, and we beheld His glory, the glory as of the only begotten of the Father, full of grace and truth." (John 1:1,3,4,14). The beauty of life in Christ is that we are in Him and He is in us 100% of the time, even when we follow after the flesh. Come on back Joel and RJW but be patient with me. I'm just trying to understand what you are saying. Seriously, we are the work that was finished at the cross; I will not add to that by my efforts. I choose to believe that what Christ accomplished is enough because God says so and I choose to rest in the finality of that. The only "work" I have is to believe that I am all that God has made me to be in Christ and to live from God's reality not my own. (Just want to apologize to anyone who might have posted here and keeps getting email notifications of comments. You're sure welcome to join in, or just read along... or I believe there's a way to unsubscribe from comment threads). Christ is our life (Col 3:4). We must first realize and understand that we died. We had to die to the law in order to be married to Christ (Rom 7:4 Galatians 2:19)). We were crucified with Christ, and we no longer live, but Christ lives in us (Galatians 2:20). We have been joined together with God as one spirit (1 Cor. 6:17). He never leaves us or forsakes us (Heb 13:5). When we're unfaithful, He remains faithful (2 Timothy 2:13). David (and the other OT saints) had it good... in that he knew, to an extent, the mercy and grace and love of God. But he didn't have it nearly as good as us! See, although David spoke at times of an intimate relationship with the Father, there is one huge thing that he didn't have - a new spirit. A born again spirit. I believe that David and the other OT saints have everlasting life in the same way that we do - by faith - but they lived before the cross and resurrection so they never experienced the same death and resurrection unto new life that we have experienced while still living in these bodies. David prayed such things as "Do not cast me away from Your presence, and do not take Your Holy Spirit from me" (Psalm 51:1). The glove wasn't always on the hand. In OT days, the Holy Spirit "came upon" people but didn't indwell people. But all of that is something that we never have to worry about, ever! Jesus is Immanuel. God with us. And He is God in us. And He is God in union with us. We've become new creations, "born again of incorruptible seed" (1 Peter 1:23). We still live in these corruptible bodies, and a thing called "flesh" remains, but our bodies and our flesh are not who we are. We can chose to "walk after the flesh" or to "walk after the Spirit," but either way we still remain in Him. Our life is in Him and in fact He "is" our life! My hope, and I know for sure the hope of at least some of the others who have commented here, is that we get established in the truth of all of this - God's great unconditional love, and who we are in Christ, all having nothing to do with our actions. It's all a gift. We can't make Him love us more and we can't make Him love us less. Our deeds didn't cause Him to join Himself to us and our deeds don't cause Him to disassociate with us! The gospel is good news! Joel, thanks for covering my back; I just don't have the time at work to give the scriptures to back up my line of reasoning. You keep the conversation grounded in Truth not speculation and I want you to know that I appreciate it!!! This was such a struggle for me in my christian walk for a long time. I tried to "fake it" for a long time, but I never "made it". Don't get me wrong, I was not a bad person, but I always fell short of what I thought the standards were. I recently realized the main difference between "fake it till you make it" and Grace Theology. Faking it tried to change one thing: actions. Even without Christ, I can make my actions seem good in many ways. I can try to live a good life. I can get better and better at living this morally good life as I get older. I can lie less, not kill people, stop cursing, go to church, not cheat on my wife, etc, etc. But, I do all of this without a change the root of the problem. The Heart. I am trying to change the outflow of my heart without addressing the issue. The truth that I realized is that Christ is in me. He can flow out of me at all times. I don't need to "fake it" because I have allready "made it". I am a new creation. Christ is my identity; He is who I am. Since Christ is in me, the goal is not to change my actions. The goal is to pursue the relationship with Christ. To Dwell in Him that dwells in me. The goal is to renew my mind not change my actions. Seek Christ. When I do these things my actions may well change over time. But it is totally different than striving to change my actions. The Pharisee's were better than anyone at faking it, but the only thing they got was a very hot eternity...unless they knew Christ. Once they knew The Risen Saviour there was no more faking needed. They were perfected. I posted in my blog a little while ago about a book I tried to read "The Disciplines of a Godly Man". The point was that you try harder and harder and you will be godly. (Or rather since you are Godly, you need to try harder and harder). I think this is false teaching. We are new. It's not about trying harder. The work is done. We are complete. Let us dwell in that assurance. Let us enjoy our Saviour rather than looking for more to do. I understand that "it is finished" and that I am complete in Christ. I understand it is all grace. My question is once I am in Christ....a genuine believer.....the process of sanctification begins. It is a process. We will not be "perfect" until we get our new bodies someday. So.....in this life there is a struggle. My flesh wants to do one thing and my new nature wants to do something else. Scripture says to "put on the full armor of God". That's a command to do something. Grace isn't just me sitting in my living room and God floats the Bible over in my lap. He does not read it out load to me. What I'm trying to get at is....how do I respond to His grace in order to grow to become more like Christ. Holy cow.....I go from blog to blog where there is this kind of "anti-IC" thing going on. God forbid I go to church! Actually I don't go to church but trying to learn how to grow as a christian via the internet ain't helping much either. Thanks for pointing out the fact that anti ic thing doesn't help you to grow and not that I'm an IC kinda guy, I am the church, it's not a boast its just a fact, oh yes I struggle to put faith in it but the Master said it and so did his followers. Some one once told me that the message of Grace and Walking by Grace is something that is more caught then taught, when I understood this then I began to relax and things began to make sense. You've found a wonderful couple of teachers here, I hope you will rest and catch their message. ps. I'd encourage you to stay here for now, it's a good place. I know what you mean...it is hard to resist the urge to "do". People are very quick to give new Christians a "to do list." But that is not the point. Sanctification is a process, but the way that is accomplished is not by changing our actions. It occurs through building our relationship with Christ. Knowing Him more. Yes, we may do certain things, but our calling is to seek Christ and allow our actions to flow from that relationship. Putting on the armor is not changing actions. It results from seeking the vine. Notice there is something that needs to be done but it is not action oriented...it is getting to know our new Father. I would disagree with you on one point. We allready are perfected. Our nature has been renewed. We still may do some flesh-like things...but this is contrary to our nature rather than coming from our flesh. As far as church, I think that it is crucial to be involved in a church family. As far as Penn State. I grew up a fan living in Philly suburbs....but I drifted away. Still happy when they do well though. Now I root for Tennessee. Anyway, yes it's so true. Anybody can work and progressively become a "better" person. There are atheists who have behavior that is far 'better' than many Christians who are sincerely trying to get their behavior in line. And so it's not a struggle to behave better that Christians are in need of. Our 'struggle' is to rest! To quit relying on the flesh to improve, and instead trust in the Holy Spirit to animate us as we grow in our relationship with God. I tried the whole "disciplines" thing. Bleh! You never get anywhere but frustrated. Unless, of course, you're a person with "positive flesh," as you talked about on your blog before. I think the positive flesh people have a hard time with those who aren't getting it together like they are, not realizing that they're walking in the flesh just as much as those they're putting down! It's true that there are a lot of anti-IC people. I understand where they're coming from and I'm willing to give them time to process all of their feelings and all of what they've been through in the IC. Some have been through some very, very hurtful things. Some may never go back to the IC at all. Some may eventually find a group of people they can trust and grow with. As Leonard said, we are the church. There's nothing that says any given person is meant to be part of the IC. We are a body, and we need each other and we work together, but it doesn't have to be in an institutionalized form. And it doesn't have to 'not' be in that form either. :) Each person goes through their own journey at their own pace, and we simply need to encourage one another along the way. As far as sanctification and putting on the armor, did you see what I said about that? Not that you have to agree, but that's still very much how I see things. I like how the book of Hebrews words it. Speaking of Christ and His finished work it says "For by one offering He has perfected forever those who are being sanctified" (Heb 10:14). So we've been perfected forever, and that's a solid fact that we can stand on, with several other scriptures show it to be so as well. And in the meantime we're being sanctified. Along with the rest of NT scripture, I get the picture of sanctification being a trust in as we rest in Him, abide in Him, trust in Him to work His works faithfully in and through us. We're not in the process of becoming something. We've already become, as has already been said. Colossians 2:10 says "you are complete in Him..." The sanctification process is simply the "working out" of what we already are! --- as we rest in Him! To "put on" the full armor of God... as I said before, what is the full armor of God? Truth. Righteousness. The Gospel (good news) of Peace. Faith. Salvation. The Word of God (Jesus - not the Bible)... and last but not least, Prayer. How do you put on truth? You believe the truth! How do you put on righteousness? You trust in His righteousness that you've become. Instead of thinking you're a worm that needs to grovel in front of a holy God, you simply trust in the truth that you arerighteous. How do you put on the gospel of peace? Well, actually it says have your feet fitted with the readiness that comes from the gospel of peace. The good news of peace. Romans 5:1 says that having been justified by faith, we have peace with God. That's the gospel of peace! Walk in it! How do you put on faith? In short, you walk with your trust in God and not in your own fleshly abilities! How do you put on salvation? Again, it's a matter of trust. How do you put on prayer? Well, you pray! Trusting in God. All of these things are not our gifts to God. They're not a matter of things that we struggle and strive to do. They're God's gifts to us! You don't "try" to become more like Jesus. Rather, in faith, you live from who you already are in Him. To grow as a Christian is not a quick process. Just like a tree grows tall and bears vibrant fruit eventually over the course of many years, so the Christian grows slowly but surely as he or she digs his or her roots deep into the Person, Jesus. As you therefore have received Christ Jesus the Lord [by faith], so walk in Him [by faith], rooted and built up in Him and established in the faith, as you have been taught, abounding in it with thanksgiving. That stuff confuses me too at times. I don't want to go back to constant anxiety and feeling like an employee of God rather than His son, but I also don't want to do nothing. To do nothing is boring and makes the new me, in Christ groan for holiness, righteousness and love. 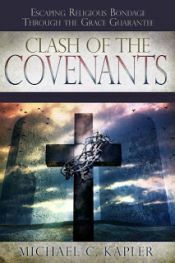 Some of us have the workings of the New Covenant backwards. The cart before the horse. We try to do in order to be instead of being in order to do. Our focus is not works...Though we as new creations obviously desire to walk in love as beloved children. Our focus is our Jesus. Jesus told the Ephesians who had indeed been busy in the area of striving for holy conduct that they had lost their first love. In other words...If what we do gets in the way of us loving Jesus and receiving His love for us, He would rather us not do anything at all. PSF...We are not employees. We're sons and daughters. Our conscience can be cleansed from dead works to serve the LIVING God. I know the constant anxiety that comes from trying to have everything under control and to do everything right. You miss the love of God. There is never any assurance of whether He is pleased with you or not. How many times do I forget that. Lately I have been dealing with sinful thoughts...Thoughts of lust to be honest. Girls are pretty. I won't deny it. I don't always succeed in cutting them off as soon as they enter my mind. I am guilty of entertaining those stupid thoughts. But something rises up in me...my love for Jesus. And it says I know the road of lust. How empty it is. And I know Jesus and how wonderful He is. Even if I can't exactly see how wonderful He is at that moment. But I know that when I do see Him, sin overwhelmingly pales in comparison. So no longer am I choosing to set my mind on other things because I may go to hell if I don't. Jesus dealt with my sin...But I choose to because I know my Jesus is worth more than all the sinful fantasies my mind can conjure up. Since coming to grace, I've slipped a few times and fell into some sins I didn't fall into under law. But now I have a new motivation. No longer is it fear...It's a changed heart. A heart that longs for Jesus. A heart that, in the midst of temptation, desires to yell out loud "Bless the Lord, O my soul and forget not all His benefits!" Thanks for sharing... you hit on so many key areas in all of this, all centered around one thing - Jesus! And I so appreciate how, in your transparency, you've given real life examples of how this all works out. Didn't I just say that ??? Wow, Joel, does every blog article promote this many comments and discussion??!! Sometimes I sense that there is going to be this "ah ha" moment where all this clicks and makes a huge breakthrough in my life! Right now, I understand it, I get it, but I'm not sure it makes a difference in how I live as a Christian. I wonder if one day the switch is going to click and I will suddenly be able to live the life of the New Covenant Christian! It is such a gradual change in thinking away from performance-based living to Grace-living. I have been listening to the broadcasts you recommended for Robert. I just agree Amen to it all... I hope that I can live it someday!! The amount of comments lately is more than usual. :) But conversations like these do truly add to the fun and joy of blogging! I think you're right... the change from performance-based to grace-based living is a very gradual experience for most people, at least in today's church. We've been bombarded with the performance-based message week after week, year after year, and I've found that there is soooo much "unlearning" to do! And in the midst of this church culture that marries law and grace together, that can be quite a challenge! And so it's good to just keep on hearing the truth of God's love and grace. Hebrews 13:9 says, "it is good that the heart be established by grace." The church today sets up our performance as what they try to establish us in. But the work of God in us, and the fruit that He bears through us is done through nothing short of His grace! So the starting place, the daily focus, and the ending place... is His grace, which is really the Lord Jesus Himself! Joel, thanks! I need to meditate on that scripture in Hebrews... wow. I agree, much unlearning to do... That is why I include in the curriculum for my weight loss classes a set of CD's from a favorite Grace-Teacher of mine, John Sheasby (www.liberatedliving.com). I'm trying to undo and reteach. I found myself "on the journey" myself and glean new insight even as I relisten over and over. Everything is performance-based and I "was" an expert in the field! So I need all the help I can get!! I still sometimes think there is this block to "really getting it". Well, I guess I will just trust the work of Grace to unblock it, if it is in fact there! I am enjoying your blog and podcasts - thanks for the help! I just wanted to say that I can relate to the feeling that there is something blocking me from fully "getting" the truth and reality of grace. There have been times when I've felt I understand the doctrine, at least to a point, but I've felt as if I wasn't really living in the reality of Grace, the Person (Jesus, who is the way, the truth and the life). Thanks for all your insights- superb!!! i haven't read all the comments, but just wanted to highlight something that I've noticed: the problem of 'faking it till u make it' is often more prevalent amongst leaders than anyone else. There is nothing more miraculous and beautiful to me than witnessing the changing supernatural work of the Holy Spirit in people to change them from the inside out. We experience true freedom, when we can simply be who we are (with worts and all) and respond to the HS work and allow Him to make us who we already are. It's a little like unity in the church- let's not fake it till we make it- let's just be real and allow Jesus to make it! I think that's very true... it's very easy for "leaders," especially high profile leaders, to fall for the temptation to be fake and phony, and often I don't think they even know they're doing it. Or if they do know they're doing it, they don't know what else to do because they feel pressured to keep up this "shiny" image. They live, then, from the flesh, not by the Spirit - and it may even look really, really good! But it's just dead works. Indeed, over a period of time the Holy Spirit works supernaturally in us. Rivers of living water, flowing from the heart, can't be faked! What can I add. Timely words! I stood before congregations for fourty years knowing that there was little evidence of hearts and minds radically chnged by the Holy Spirit of God. From time to time God intervened in a lifechanging way. Those He dealt with stood out as the actors garb was shed in much the same way as a crysalis changes into a butterfly, just as Paul's words suggest. I was privileged in the last ten years to serve a small congregation, most of whom were the real thing with no need to fake it. Great words! Thanks so much for sharing your experience. I love the whole image of the transformation into a butterfly. A caterpillar could clip on some wings and put on a production to make it look like he was flying, but the only thing that counts is a new creation. I'm glad you've been able to be with a group of authentic Christians in the last decade. Oh that all of us would be authentic like that - the real thing - and be able to be among others who are as well!